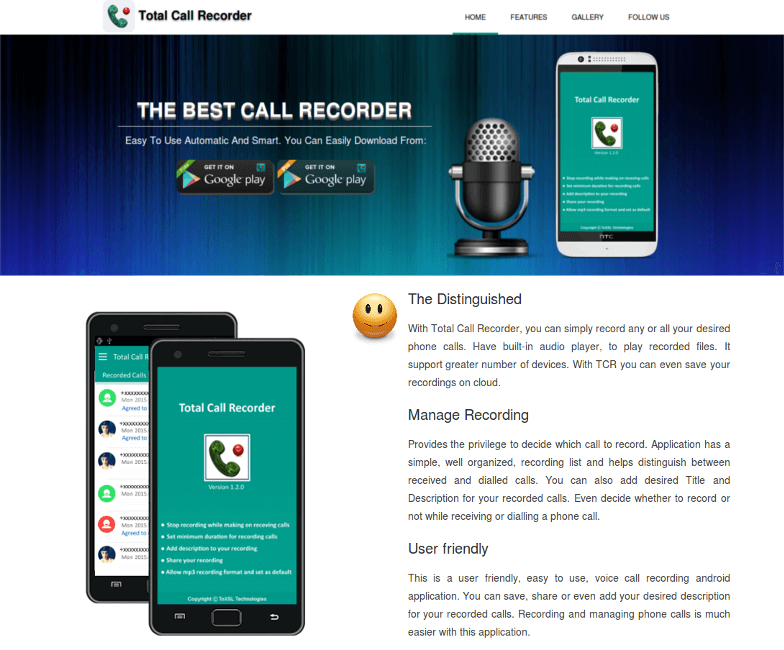 The Best automatic VOICE CALL recording app. Listen to the recording or share it with your friends. The default storage destination of all calls is ‘External SD Card’, so the size of your recordings is not just limited to your phone memory. It is an amazing voice call recording mobile application, with a user friendly design, that enhances user experience, of application usage. This application has a simple, well organized, recording list and helps distinguish between received and dialed calls.